1997 - Volume One, bay Morgan colt by Anthology®. Owned by Kathy Dodson. 1998 - Foxfire Windswept, buckskin Morgan mare by CDM Casino. Owned by Delana Metcalf/Foxfire Farm. 1999 - Cadmus, dark bay Morgan colt by CDM Royalty. Owned by Elizabeth Romano/Mount Olympus Stables. 2000 - CDM Stargaze, bay Morgan filly by CDM Defender. Owned by Canadian Pride Stables. 2001 - TF's Wonder Luck, dark bay Morgan filly by CDM Wish Me Luck. Owned by Linda Ransom/Trumpet Farm. 2002 - Wonderfully Lucky Wish, golden bay Morgan colt by CDM Wish Me Luck. Owned by Natasha Powers/Powers Farm, FL. 2003 - CDM Asti Spumonti, bay Morgan filly by CDM Canasta. Owned by Autumn Rupert/Twilight Mirkwood. 2004 - CDM On Point, chestnut Morgan colt by CDM Kendall. Owned by Cindi Nakagawa/Indigo Creek Stables. 2005 - CDM Winona, chestnut Morgan filly by CDM Pachinko. Owned by R. Miettinen. 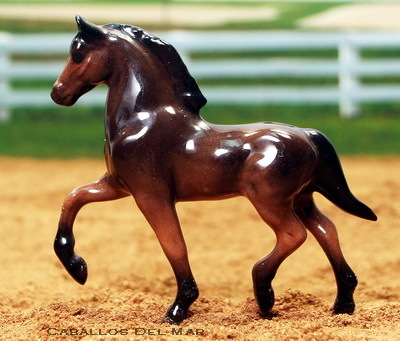 2006 - CDM Wager, dark chestnut Morgan colt by CDM Pachinko. Owned by Kay Myers/Caballos Del Mar. 2007 - CDM Windsor, dark chestnut Morgan colt by CDM Royalty. Owned by Kay Myers/Caballos Del Mar. 2008 - CDM Whirl, bay Morgan filly by CDM Casino. Owned by Kay Myers/Caballos Del Mar. 2009 - Fire Emblem, bay Morgan colt by CDM Royalty. Owned by Caroline Kamatz/Destrier Falls. 2010 - Bless The Broken Road, buckskin Morgan colt by CDM Casino. Owned by Natasha Powers/Powers Stud. 2011 - CDM Alves Caramba, bay Morgan colt by Alves Royal Echo. Owned by Golden Rose Ranch.